Bulldog 50K Run - Super Hot Day!. 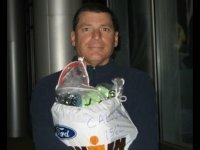 Carlsbad Ironman 70.3 - Bike. 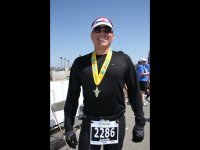 Carlsbad Ironman 70.3 - Finish. 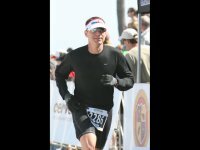 Carlsbad Ironman 70.3 - Run. 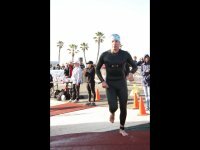 Carlsbad Ironman 70.3 - Swim Exit. 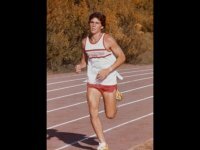 Early Years - High School 2 Mile. 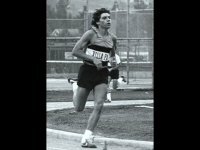 Early Years - High School 880. Ironman Arizona - Bike in Sonora Desert. Ironman Arizona - Dad and Connor at Finish. 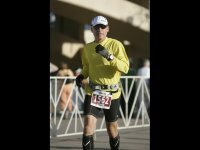 Ironman Arizona - Marathon Run. Ironman Arizona - Pre Race. 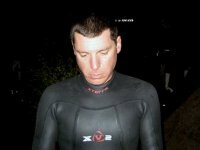 Ironman Arizona - Pre Swim. 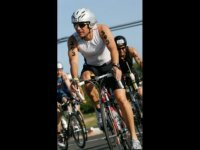 Ironman Hawaii 70.3 - Bike 112 Miles. 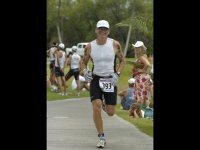 Ironman Hawaii 70.3 - Crossing the Line. 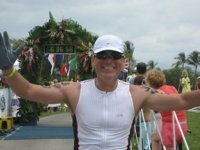 Ironman Hawaii 70.3 - Run. 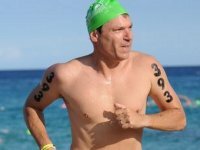 Ironman Hawaii 70.3 - Swim Exit.